MIAMI — Pablo Lopez will face the Milwaukee Brewers on Tuesday night, and how the Miami Marlins rookie right-hander fares — given the results of his first two starts — is a complete mystery. Lopez, a 22-year-old from Venezuela, made his major league debut on June 30, defeating the New York Mets by allowing six hits, one walk and two runs in six innings. He threw 98 pitches, including 74 for strikes. Among those pitches were 10 swing-and-miss strikes. “His strike-throwing was impressive,” Marlins manager Don Mattingly said. However, Lopez took a beating on July 5 against the Washington Nationals. Staked to a hard-to-believe 9-0 lead, Lopez wilted, and the Marlins lost 14-12. Overall after 11 innings, Lopez is 1-0 with a 5.73 ERA, allowing eight hits — including three homers — and three walks. His fastball is major league average at 92 mph, and his changeup and slider are considered ordinary as well. Remember, this is a pitcher who had never competed in a league above Class A before this year. This trial in the majors could be too much too soon for Lopez, although he will get another chance to prove himself against the Brewers on Tuesday. Milwaukee, meanwhile, will start 30-year-old right-hander Jhoulys Chachin (7-3, 3.63 ERA), who is also from Venezuela. Entering 2016, Chachin had a career record of 46-57. Since then, he is 20-13 with a 3.80 ERA. In his most recent start, Chachin saved a tired bullpen that was working with three unavailable relievers and allowed just two runs in seven innings. On Tuesday, Chachin will get a supposed break because Miami’s only All-Star — catcher J.T. Realmuto — just went on paternity leave. Realmuto is perhaps the best-hitting catcher in the game at the moment, batting .317 with 20 doubles, three triples, 12 homers, 44 RBIs and a .919 OPS. However, Bryan Holaday, who has replaced Realmuto in the lineup, had a walk-off single against the Brewers on Monday night, giving the Marlins a surprising 4-3 win. It was surprising because the Marlins (38-55) are in last place in the NL East, and the Brewers (54-37) are in first in the NL Central. But the Marlins were resilient on Monday, battling back from a 2-1 deficit in the seventh inning with home runs on consecutive pitches against Brewers All-Star reliever Josh Hader. It was the first time in his career that Hader had allowed two homers in one game, much less on consecutive pitches. Starlin Castro and Brian Anderson went deep for the Marlins, who surprised again in the 10th inning by pulling off a double steal by Miguel Rojas — who is not a fast runner — and Cameron Maybin, who was in the trail position. 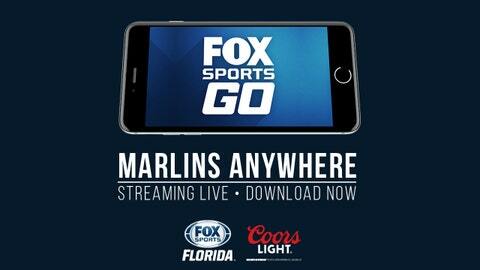 The Marlins, by the way, are last in the league in stolen bases. In other words, baseball is unpredictable, and exactly what will happen on Tuesday is impossible to say. One thing that is fairly certain, however, is that the Brewers are pleased with their two All-Star outfielders — Christian Yelich in left and Lorenzo Cain in center. Yelich, traded by Miami to the Brewers in the offseason, went 2-for-5 with one steal and one run scored on Monday in his return to Marlins Park. Cain, who came off the disabled list on Sunday, went 3-for-4 with one RBI.